The remains of the structure where the jewellery-making occurred at the Cairns. The Cairns archaeology dig is situated on a wild and wind-swept cliff above Windwick Bay in South Ronaldsay, Orkney. The site itself is a research and training excavation for the University of the Highlands and Islands Archaeology Institute and has provided many insights into ordinary life in Iron Age Orkney. Radiocarbon dates available this week have provided archaeologists with a glimpse into a new episode in the life of this site nearly two thousand years ago, in what is known as the Middle to Late Iron Age. The Cairns is known for the remains of an Iron Age broch, but also increasingly for a post broch metal working area in which a collection of sixty metal working moulds, remains of furnaces, crucibles and further evidence of considerable metal working were unearthed in 2017 – including actual high status jewellery objects such as bronze pins and brooches. Additionally a huge midden of animal bones and broken pots lies adjacent and partly covers this metal working area. Radiocarbon analysis of the midden suggests that it was created in the AD240’s to AD 300’s and further investigation of the deposits points to a great feast event being held on the spot at a time after the broch fell into disuse. This was a time of great social change in Northern Scotland and was contemporary to the mid and late Roman period further south. Martin goes on to propose that, in the absence of huge monumental structures such as brochs, open air feasting could have been a method in which evolving Iron Age society expressed identity and solidarity. 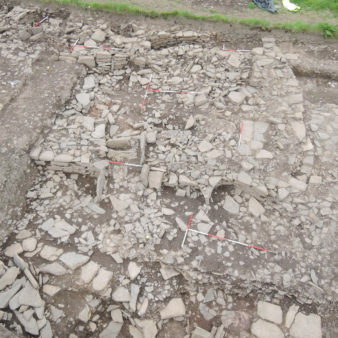 Furthermore, a large rectangular building, similar to the ‘Wag’ structures found in Caithness, is also present at the site, partly covering the remains of the broch and containing a huge complex central hearth. This imposing building was also present in the same period as the feasting event and perhaps represents the residence of a powerful household who organised the production and distribution of the valuable jewellery pieces. Perhaps we can picture the whole community taking part in a huge feast, alongside the metalworking furnaces and the large stone built house, surrounded by the ruins and stories of the broch. Perhaps on this Orkney headland, two thousand years ago, a few members of the group received the precious jewellery items from the residents of the Wag, which in turn bestowed a certain status or position on individuals within the group. It is fascinating to suppose that we are looking at the creation of a new social structure in Orkney based on a shared community ideal supported by a hierarchy of important individuals. 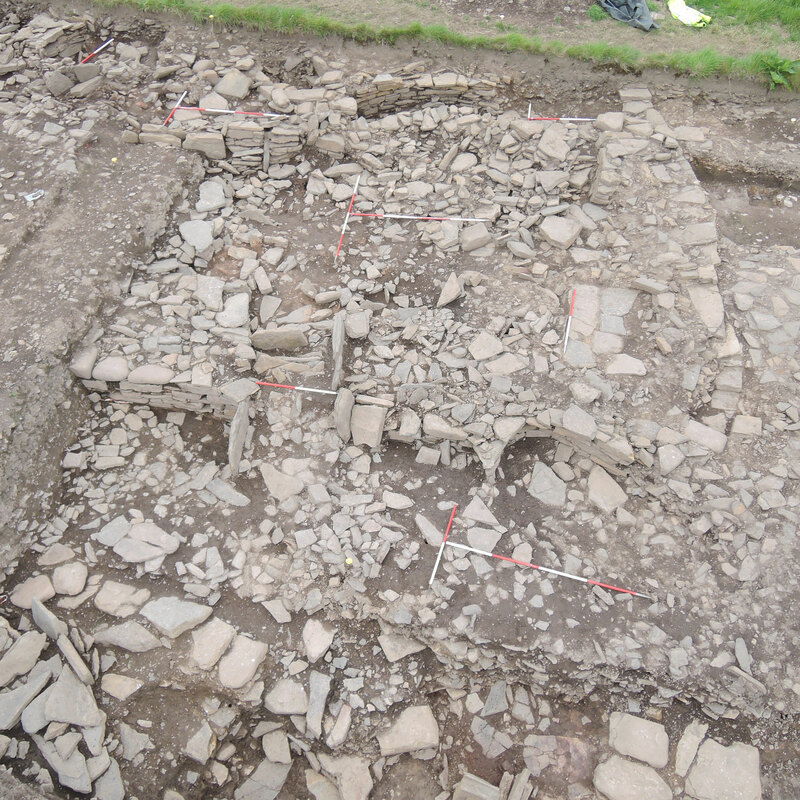 The 2018 season at The Cairns will examine and explore more of these themes as the archaeologically important lower layers of the broch and surrounding settlement sites are revealed.